Thought to be the General Store in Pitcherville that was originally built by Lester Pitcher. Located about 2 miles north of Stockton, in Stockton Twp. near the boundary with Rush Twp. The white area above the words �General Merchandise� on the front of the store is thought to have blocked out the name �L. D. Pitcher�. 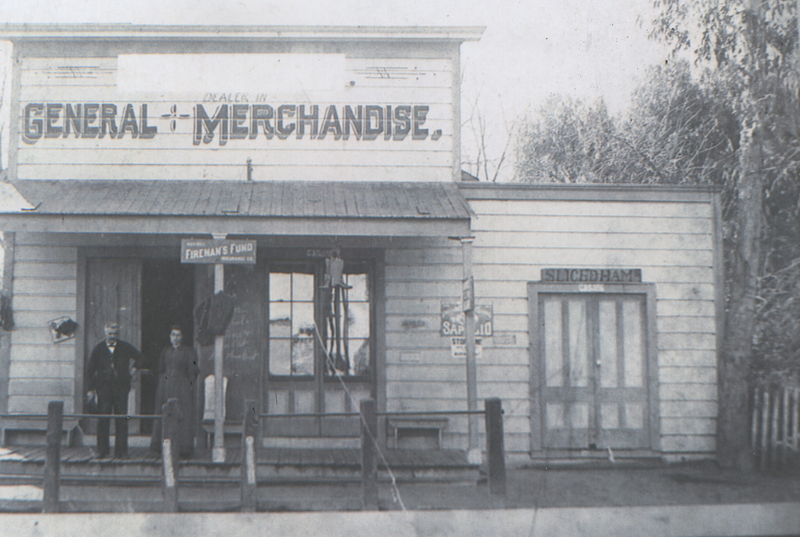 The two people standing on the porch of the store are unknown.